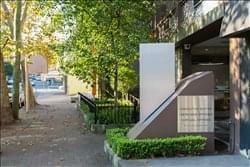 Find My Workspace lists over 95% of the serviced offices market in Crows Nest (Sydney). Simply click Request Quote to check pricing for one office, or Add to Basket for multiple offices. A chocolate-coloured façade and manicured gardens create a great first impression of sophistication and style in this central Crows Nest location. Choose from sensational, interior-designed suites or open-plan space on the centre’s Club, Executive and Gallery levels. You can take advantage of the free meeting and conference room usage and the 24-hour secure access to your office means you’ll never have to worry about waiting for someone else to open up the building. A full-time receptionist is available to greet your guests and the high-speed internet means you’ll never have to wait for web pages to load. To obtain information for your selected Crows Nest (Sydney) Serviced Offices, please tick the "Add to basket" box for each office you prefer and complete the form below. We will then send a detailed report via email.